Developed and manufactured by Resistant building products, MoistSure provides high performance in the moist humid and wet environments, resisting mould to provide a healthier interior environment. 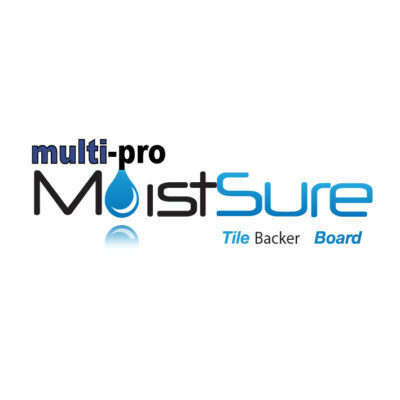 MultiPro MoistSure provides a non-combustible substrate for internal wet areas such as kitchens, utility rooms, bathrooms, shower cubicles and swimming pools. Building boards are environmentally friendly due to their low emission of Carbon Dioxide in conjunction with a greener, cold fusion manufacturing process. This product is also a chemically safer tile backer as it contains 0.5% crystalline silica, whereas other rival tile backers contain up to 50%.